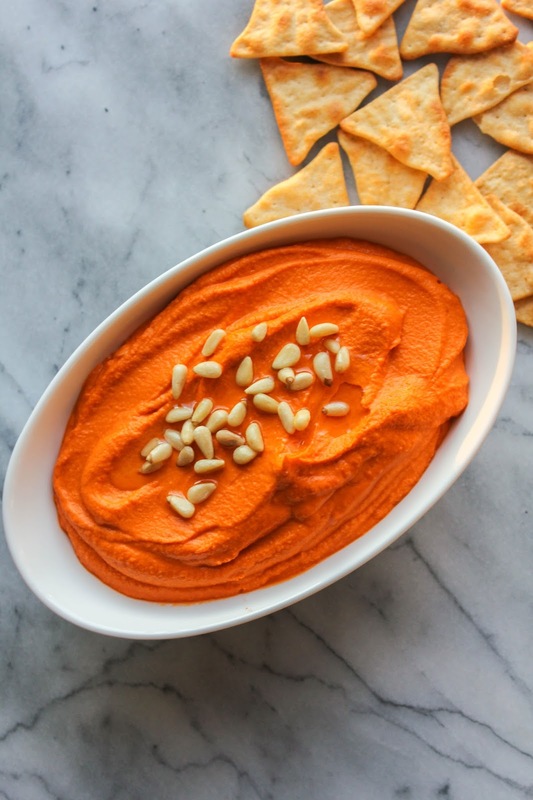 Hummus is the perfect go-to healthy snack, packed with nutrients and healthy fats! Adding roasted red peppers takes it to another flavor level! Happy New Year, friends! I can't believe it's 2016! I hope everyone had a wonderful and relaxing holiday. We had a fabulous time, but it sure seemed to go by fast! With the new year comes resolutions. So many people vow to lose weight, and I've been in that boat year after year. But this year I decided I'm not going to focus on losing weight, instead I'm going to focus on being healthy. Eating healthier foods, trying to get more exercise, and taking more time for myself. Whether that means taking 30 minutes to read a book, or go for a walk, or even take a bubble bath. I want to be sure I'm taking care of myself. There are many things we can do to be healthier. Try to eat an extra serving of fruits and vegetables each day; cut back on sugar and sweets; be sure to drink enough water every day; get enough sleep each night. One of the things that I find helpful to stay on track as far as eating is to keep healthy snacks on hand. 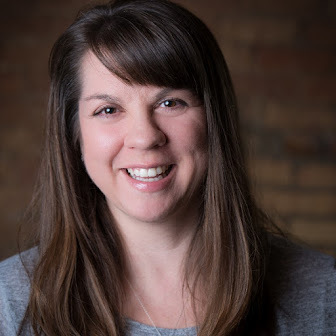 I love to cut up veggies like cucumbers, carrots, sweet peppers and celery and have them front and center in the frig for the kids or I to grab when we are looking for a snack. One of my favorite snacks is hummus. I love to dip pita chips and veggies in my hummus for a healthy and satisfying treat. 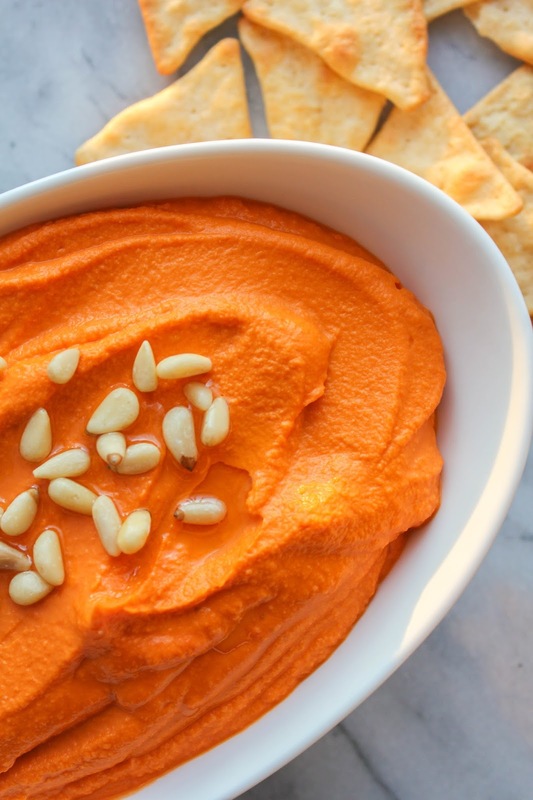 This Roasted Red Pepper Hummus is super quick and easy to make. I just popped all of the ingredients into my Vitamix and blended it up until smooth. 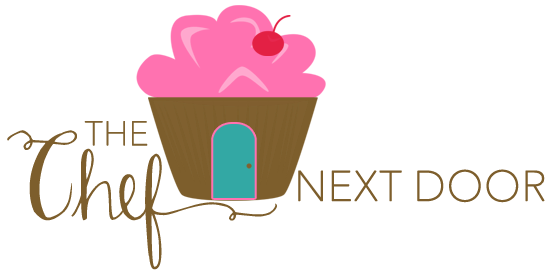 If you don't have a Vitamix, don't fret! You can also make this in a food processor or blender. Make a batch of hummus on the weekend and use it in pita sandwiches or as a snack throughout the week. It's perfect in lunchboxes! What's your favorite healthy snack? Share with me in the comments below! If using a Vitamix, place all of the ingredients into the Vitamix container in the order listed above and place the lid on tightly. Select Variable 1 on the machine, then turn it on and slowly increase the speed to Variable 10, then to High. 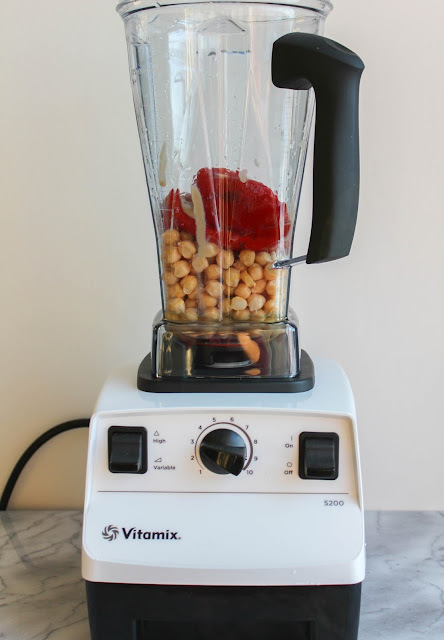 Blend for 1 minute or until the hummus is smooth. Use the tamper to press the ingredients into the blades if needed. If the hummus is too thick, add the reserved garbanzo bean liquid one tablespoon at a time, until it reaches the desired consistency. If using a food processor or blender, place all of the ingredients into the bowl in the order listed and process until smooth. If needed, add the reserved garbanzo bean liquid one tablespoon at a time, until it reaches the desired consistency. 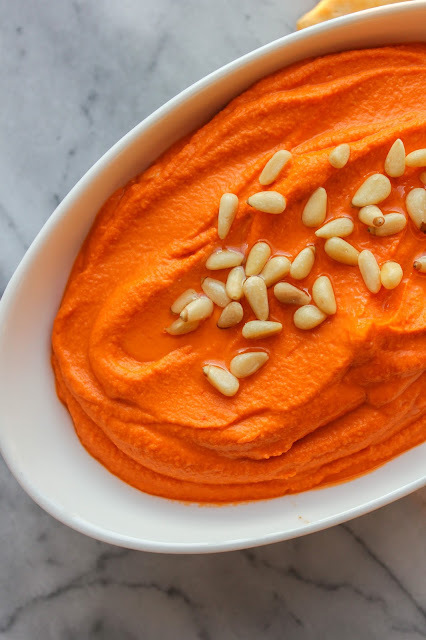 Place the hummus in a bowl and top with a tablespoon of olive oil and a sprinkle of pine nuts. Serve with pita chips, pita bread, or cut up vegetables. Disclaimer: I received a complimentary Vitamix for review and recipe development. All opinions, as always, are my own.